Selecting the best exercises for a client can be challenging, even for the most skilled exercise and rehab professionals. With an array of exercises to consider, not to mention the influx of new technologies and the unique physical condition of your client, it’s a lot like walking into a buffet restaurant with a big appetite. You may starve from paralysis by analysis! In CHEK classes, however, we teach seven principles that allow our practitioners to select the best exercises for their clients. To make this blog post more practical, I’ll use a short, fictitious case history to demonstrate how these principles work. Sally, a 35-year-old mother of three young children, is a surgical nurse. She hired you as her personal trainer after hearing your name mentioned by some of your other satisfied clients. During your first session, Sally tells you her goals are to reduce body fat and alleviate the chronic back pain that has persisted since the birth of her third child. 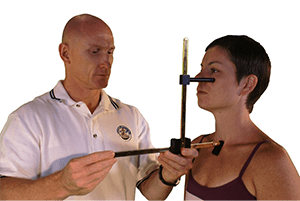 Part one of this three-part blog series examines the first two principles that focus on taking the time you need to assess your clients and their biomotor weaknesses. Principle 1: If You’re Not Assessing, You’re Guessing! Like all human beings, Sally is a complex system of systems and has a past medical and exercise (or non-exercise) history to be considered. Her current medical status and exercise/activity levels must also be investigated. Also, because most exercises professionals prescribe have a catabolic (tissue-destructive) effect on the body, you must determine Sally’s capacity for an anabolic (tissue-building) rebound first before making any firm decisions about her exercise plan. All too often, exercise professionals mistakenly believe the musculoskeletal system is an isolated system, when, in truth, it works in conjunction with all of the other systems in the body. The accumulated number of stressors from these different systems amount to what C.H.E.K Practitioners call Total Physiological Load, which can be assessed by using some simple questionnaires included in my book, How to Eat, Move and Be Healthy! We can assess the level of Sally’s stressors in all systems as they present in the four major categories: Physical, Emotional, Mental and Spiritual. Once we have evaluated Sally’s Total Physiological Load, we are in a much better position to determine her capacity to handle catabolic exercise stressors. Sally has already given us another key piece of information: The goals for her exercise program. With the results of our assessment and a clear understanding of her goals, we are now in a position to begin selecting her exercises, using Principle 2. Although each biomotor ability can be tested individually, let’s assume our assessment of Sally showed that she needs increased muscle mass and improved strength-endurance in her extensors and postural muscles. Since her low back pain is linked to having multiple children, Sally’s exercise plan will restore her inner unit (torso stabilization muscles) coordination and strength-endurance. (For a more detailed analysis of the inner unit, I recommend my correspondence course, Scientific Core Conditioning). Part two of our three-part series discusses how the complexity of the exercise and what I call “Big Bang Exercises” fit into the CHEK system, and how they should factor into your exercise selection.